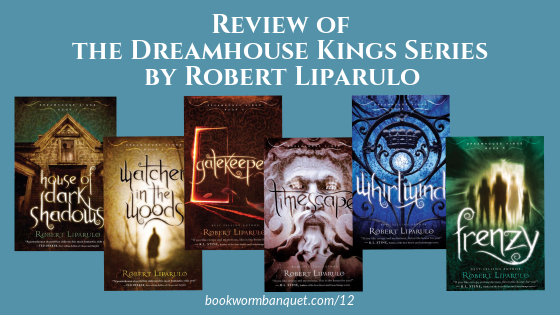 In this episode we review the Dreamhouse Kings series by Robert Liparulo. 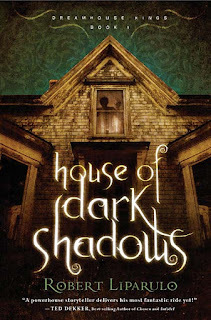 This Young Adult fiction series of six books is an engaging and spine-tingling read that we heartily recommend. Also in this episode is Nicole's Fact about a writer who changes his name and JD's Tip about a fabulous way to keep track of your personal or small organization's library. The world's only library to operate in two countries simultaneously. 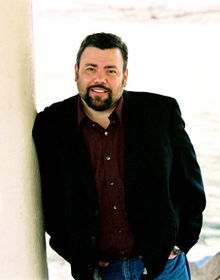 Composer Jonathan Maiocco wrote some beautiful music inspired by Dreamhouse Kings. Check out his pieces on the soundtrack page of the Dreamhouse Kings website. Also, check out his instrumental albums on your favorite digital music outlet. "I read Book 1 of the series and thought, 'Whoa, I can totally hear the music!' So, with all the horror and suspense of the story in mind, I composed “House of Dark Shadows” as what I though[t] of as the “main theme” of the series." ...is about a writer who changes his name. ...is TinyCat; which is the online catalog for small libraries, created by LibraryThing. It turns your existing LibraryThing account into a simple, professional, web-based catalog. Today’s episode is brought to you by Adagio teas. Adagio is the premiere source for loose leaf teas on the internet. Check out the Bookworm Banquet tea blend.